When I first saw the cover of Daredevil #51 on the spinner rack fifty years ago, I believe I must have known something was up. After all, I’d been buying and reading this series for a whole year now, and even if I wasn’t the most sophisticated spotter and identifier of individual artists’ styles at age eleven, I believe that I could tell a Gene Colan Daredevil cover from, well, anyone else’s. Not that there hadn’t been any non-Colan DD covers in the twelve months I’d been following the book — there’d been issue #43‘s, which was a Jack Kirby job. 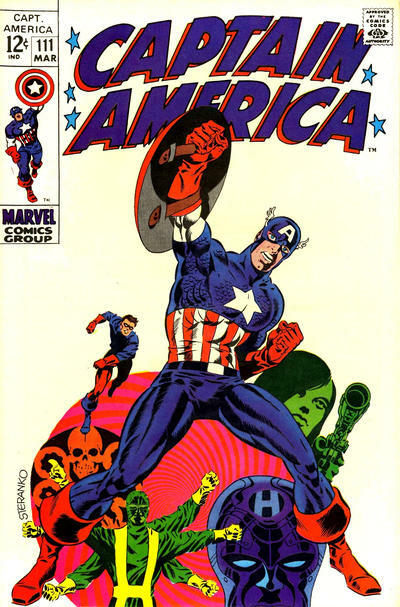 But that particular issue had guest-starred Captain America, and since Kirby was Cap’s regular artist at that time (and also his co-creator, of course, though I probably didn’t know that yet), that had made sense.